We design and manufacture a variety of LED light sources specifically for different sized target areas. 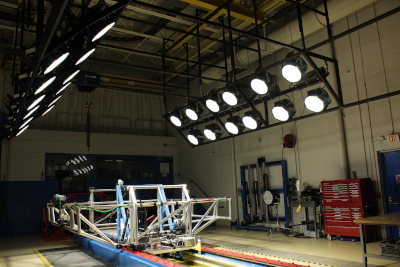 Applied Optix produces lights that are suited for overhead arrays, portable floor systems, underfloor “pit” areas, and high G-force rated lights for on-board vehicles or test sleds. 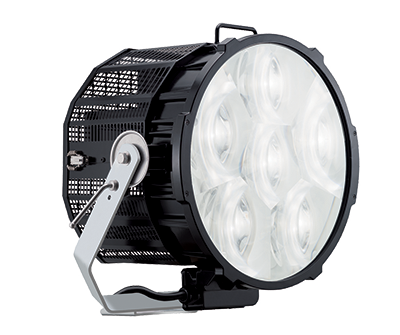 LED fixtures are flicker-free, bright white, and do not require synchronization to the imaging system. The Blitz model LED lights feature a variety of lux levels and beam spreads to provide optimal lighting for static labs, small areas, or as portable fill-in lighting. 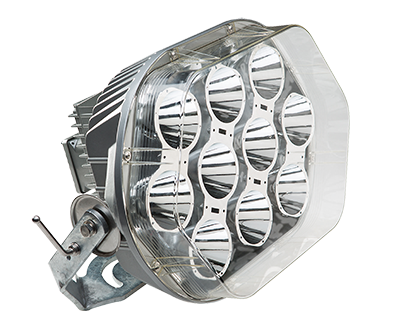 The DueLL II model LED light features high lux output and beam spreads to provide optimal lighting for overhead arrays and pit lighting. 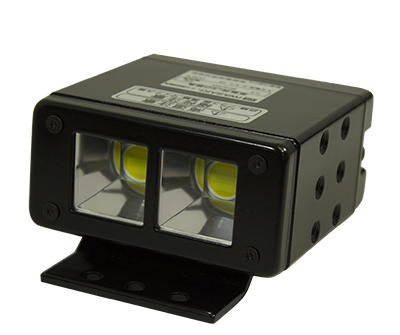 Onboard lighting systems, feature 100G performance, DC power and are designed for high G-Force or confined small area applications. EYE Applied Optix has considerable expertise with regard to providing the highest quality, best designed high speed imaging lighting systems for new installations or existing system retrofit. We begin with a detailed consultation with our customers to develop an understanding of their specifications and requirements, and then utilize proprietary software to develop a lighting profile consisting of light energy lux level and uniformity across the lighting target area. We also design, construct and then install the lighting systems at the customer location. 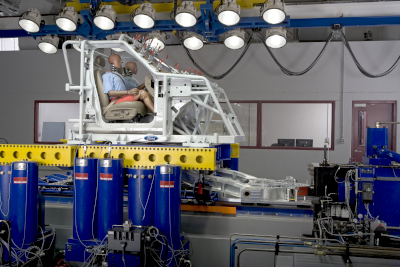 The Applied Optix LED lighting systems are very easily integrated with existing test control systems. Applied Optix manufactures the LED lights, the electrical and the mechanical systems. We can also provide the system installation and project management for the lighting system. The customer will have a single point of contact that is responsible for all components of the lighting system. 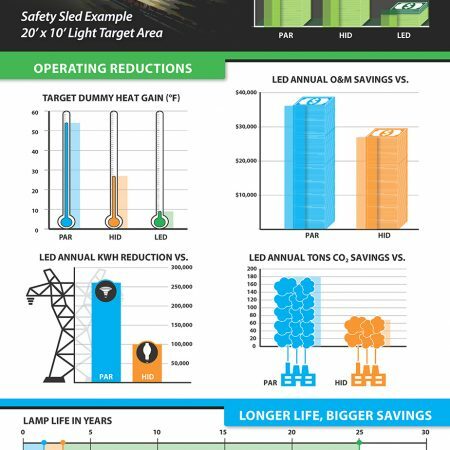 Check out this Infographic to see the benefits of LED compared to PAR and HID Lighting for High Speed Imaging. Take a closer look and find a link to download it here. See our products at the approx. 2:50 mark. See our products at the approx. :27 mark.